With advancements in modern technology, nearly every household appliance has some sort of smart feature. 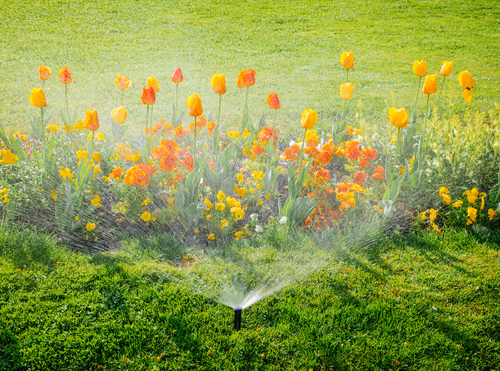 However, one aspect of your property that may not have caught on is the irrigation system. According to Maxum Irrigation of Waterford, CT, there are plenty of ways to enhance your sprinkler setup with the intuitive, convenient power of your Wi-Fi network. Here is a guide to how smart tech can bring your irrigation system into the 21st-century. This unique, residential irrigation system controller looks a lot like a touchscreen thermostat but with a twist. While you can program commands through this mounted system, you can also control the irrigation network through the HYDRAWISE app on a mobile device, such as a phone or tablet. Whether you’re on vacation or stuck in a meeting, you can ensure your lawn remains lush and cared for. To enable the remote-control capabilities, the controller connects to your home’s Wi-Fi network and a cloud-based software. Therefore, in addition to having the freedom to control your sprinklers from anywhere in the world, the HYDRAWISE system does a lot of work itself. With Wi-Fi enabled, it can tap into local weather forecasts to adjust your watering schedule — so your lawn stays healthy and your utility bill stays low. With the addition of a smart flow meter, which sends information to your HYDRAWISE irrigation controller, you can keep tabs on the water pressure inside your system. If it’s low, the software will send a notification directly to your smartphone. Low water pressure is often caused by broken pipes or sprinkler heads, so having immediate access to this information will allow you to prevent extensive damage and schedule an emergency repair. If you’re interested in making your everyday routine easier and saving money in the process, contact Maxum Irrigation about the Hunter HYDRAWISE system. They will be glad to answer questions about this Wi-Fi enabled system and help you cultivate a lush lawn without spending more than necessary. For more information on their irrigation system offerings, visit the website or call (860) 525-7000.